22 Jun Property Law – What information am I required to provide a prospective purchaser of my unit? What information am I required to provide a prospective purchaser of my unit? The Unit Titles Act 2010 came into force on 20 June 2011. What does this mean to me if I am selling my unit? When the Unit Titles Act 2010 came into force, sellers of unit titles will be required to provide intending buyers with disclosure statements: these will provide potential buyers with information that can help inform their purchase decision. Pre-contract disclosure statement – which the seller provides before entering into an agreement for sale and purchase. (h) an estimate of the cost of providing an additional disclosure statement. Pre-settlement disclosure statement – which the seller provides after entering the agreement for sale and purchase but before settlement of the sale. ii. (ii) the pre-contract disclosure statement. Additional disclosure – which the seller provides on request of the buyer. Regulations will prescribe the information that must be provided in each disclosure statement. These regulations are currently being developed. whether the current balance of the fund is projected to be sufficient to meet the body corporate’s obligations under the plan. 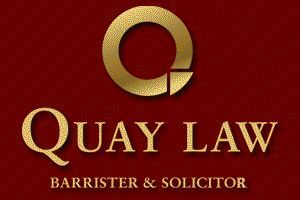 For more information please contact our property lawyers at Quay Law Barrister and Solicitors or Phone (09 524-2408).